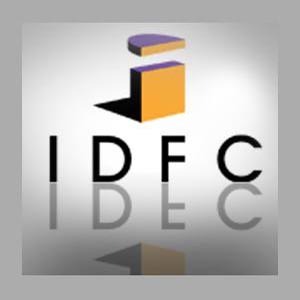 Stock market analyst Pradeep Surekha has maintained 'buy' rating on Infrastructure Development Finance Company Limited (IDFC) stock with a target of Rs 205. According to analyst, the stock can be purchased with a stop loss of Rs 190. The stock of the company, on Nov 15, closed at Rs 195.50 on the Bombay Stock Exchange (BSE). The share price has seen a 52-week high of Rs 218.20 and a low of Rs 142 on BSE. Current EPS & P/E ratio stood at 8.02 and 24.42 respectively. IDFC Foundation invested approximately Rs 22.5 million in Pipal Tree Venture (P) (PTVPL), a for-profit firm offering up vocational training for proficiencies needed in the construction biz to unemployed youth from rustic regions. For the three month period ended September 30, IDFC Ltd has recorded a growth of 15.95% in its consolidated net profit of Rs 3,383.96 million. The company's consolidated net profit during the same period of last year stood at Rs 2918.41 million. The total income of the company grew by 17.87% to Rs 12,191.38 million for the three month period ended September 30 as against Rs 10,343.51 million during September 2009.